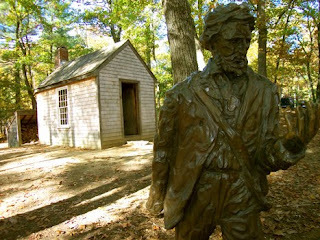 Experimental Theology: On Walden Pond: "What Demon Possessed Me That I Behaved So Well?" On Walden Pond: "What Demon Possessed Me That I Behaved So Well?" After setting out his famous summation of the modern condition--"The mass of men lead lives of quiet desperation"--Thoreau goes on in Chapter One of Walden to describe a bit about why he thinks this situation has come to pass. His first target is a thoughtlessness that resigns itself to the status quo. The attitude seems to be "Well, this is what everyone says is the 'good life' so that is what I'll do." More, this sentiment is less a conscious thought than it is unconsciously and unreflectively assumed. We just follow others. Doing what they do. Pursuing what they pursue. Wanting what they want. Admiring what they admire. Applauding what they applaud. Blessing what they bless. Cursing what they curse. Here we engage with one of the other great themes of Walden: Nonconformity. The willingness to question, object, protest, and resist. "Do not be conformed to the patterns of this world." A confession: I'm a bit of a nonconformist. I try to dress differently. Think differently. Behave differently. I'm a little bit off. Not much mind you, but I'm not drawing precisely inside the lines. I try to blur the boundaries of every "pattern" I find myself in. This often gets me into trouble. I go too far at times. I've offended people. You can blame Thoreau. As I've said, this book has affected the way I live. I spend a lot of time repenting of my good behavior. I could say a lot more about all this, how it all plays out in my life, but I've already gone too far in the direction of vanity in this post. If you are going to be a rebel don't let your left hand know what your right hand is doing. But I do want to say this. If nonconformity is an important part of being a Christian--"Do not be conformed!" --then this is a skill that needs constant care and cultivation. And the main thing that needs to be cultivated is this: Indifference to the crowd. The main reason we conform is because we live in fear. Mostly fear of social censor or disapprobation. Fear of the sidelong glance, condescending smirk, and the whispering of the clique. We need to inoculate ourselves against these fears so that when the real tests come we have reserves of courage than can be drawn upon. We've got to get used to saying "No," used to going a different way, used to looking weird. You can't conform everyday of your life and then expect, when the heat comes, to do anything different. You have to inoculate yourself. When the sun sets on our lives let us not lament: "What demon possessed me that I behaved so well?" I think your point is totally valid - but how do you separate the courage of beating your own well-thought out path from the vanity of basking in a quiet, though cautiously safe, rebellious posture. Humanly speaking, indifference to the crowd, "be not conformed," and its polar opposite, living in community, also considered a Christian ideal, are tensions that don't play out as nicely resolved. Greater weight usually gets thrown one way or the other, and as you've pointed out before, sociability tends to get equated with better spirituality. Personally, I'm less inclined to the crowd as well. Crowds tend not to welcome, or at least feel intimidated, by anyone who doesn't go along with them wholesale. Oh, bless your mismatched cotton socks, Dr Beck. In Romans, next comes a contrast 'but' and that is followed by 'transformation.' It's all about having a transformed mind so that the actions which flow are 'good,' according to God. Whether I draw inside or outside the lines is not of much interest to God, no? I think there is a mistake being made here (now I'll bet that was a shocker!) in that the conforming and transforming are both passive and the post is all active. You say, 'The main reason we conform . . .' Active. You say 'I try to . . .' Active. The Scripture is being taken out of context to seem to support the going in opinion. David, this, again, just doesn't make any sense. Romans 12, if you read it, is full of imperatives and active verbs. Let alone, "Take up your cross and follow me." There is very little connection between social conformity and "quiet desperation". Non-conformity is so easy it barely deserv(ed) Thoreau's attention -- or ours. Quiet desperation is sometimes the result of deep reflection upon Reality. If not that, then as these days, of unmet overly optimistic expectations. I personally am not interested in conformity OR nonconformity for their own sakes. Sue's comment (about her recent experience with a gaggle of friends who have remained much the same over the years) resonates with me. I have found myself an Outsider much of my life, and don't need to deliberately position myself as such, it just happens. Yet, if someone were to follow me around, I would look pretty ordinary. I have often found it amusing that teens can work so busily at being nonconformist ... yet at the same time, you can't tell one apart from their peers. It takes a lot of energy to be a nonconformist. If we aim for authenticity, we'll probably hit "nonconformity" a lot of the time. But it won't be nonconformity for it's own sake. "Here is a tension to be worked out between being apart and being together: my relationship with myself and my relationship with others, appropriate sellf love and self protection and appropriate self giving....As the exterior world presses in on my I need time and space for myself, time and space to recreate myself, so that I shall be of more value to myself and others." Richard, you are so right; Romans is full of imperatives and active verbs. And, Jesus' command to "take up your cross and follow me" is certainly an active imperative. As an aside, I'd love to know what you think it means; but, I won't ask. Romans 12:2, however, where your quote comes from is passive. It is not the person who does the conforming nor the transforming. 'Be transformed' and 'transform yourself' are not the same imperatives. Your post seems to be about the later and not the former, the one in Romans 12:2, the one you quote. the time. But it won't be nonconformity for it's own sake." Yes, authenticity is the key. If we 'try' to be non-conformist then we aren't being indifferent to the crowd. We're still letting them determine our actions. I don't see a balanced life as being 50/50---half community and half separate. I think at different times of our lives we have different ratios, different routes, different priorities. I have always been a person less inclined to the crowd, and as I approach my 70s I see myself becoming more and more of a separated person. What brings me peace and contentment is music, lots of books to explore, sharing a meal and a glass of wine with one good friend, ideas to investigate and contemplate, family when they come the distance to visit. As a widow I have found it difficult to maintain friendships with married couples in a church setting, especially in a church that tends to count its membership by twos. And the social outings planned for seniors......I'm not there yet, probably will never be. What catches my interest now is exploring how my theology has changed over the past decades. Words about God. God is growing; I am, too. I heartily agree that it's not a 50/50 thing, and I think you're right that stage of life may play into priorities. I see it as something like a spectrum, as to where people find their true colors coming through. Those at the more sociable end of spectrum may outshine and outnumber those of us at the other end, and so seem to be more celebrated, welcomed and affirmed. Like you, I also seem to have a difficulty finding the quality caliber of friendship I need (or perhaps require) in church, since I've never fit in with talkaholic chit-chat. Indifference to the world is definitely necessary to being a non-conformist. However, I find it easier to innoculate myself to disapproval, than approval. Disapproval is easily noted as it set up the conflict from the beginning. Approval draw me in and welcomes me before setting up the fall. I find it important to have an alternative way, completely separate from the world, to establish whether or not I am on the right path. I am eternally grateful to my father for making me read Walden when I was 14 years old. We discussed it in depth as I read it ehile we were at my grandfather's cabin jn the Canadian woods of western Ontario. Yes! 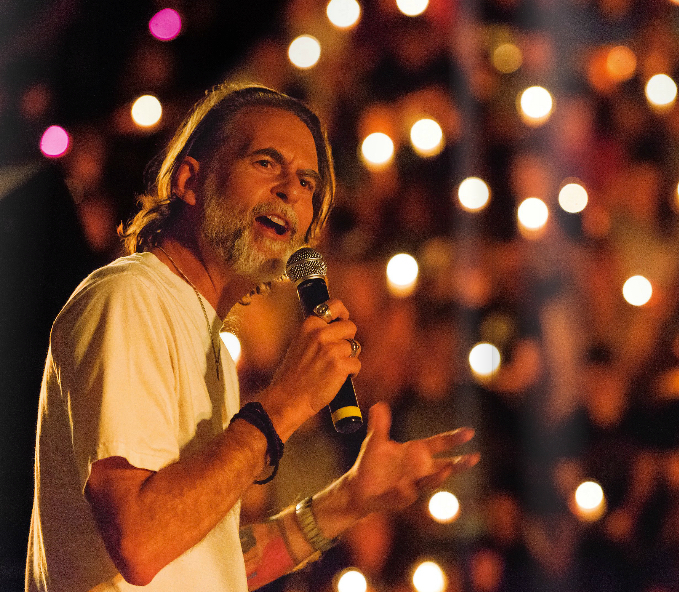 Part of my embodiment of the good news here among teenagers in the deep South involves a resistance to conformity, a boldness to go the way the Spirit leads, as opposed to the way the crowd leads. But I've been chastised by leadership for being different in a way that supposedly distances me from the kids. So I've found a tension in being a non-conformist on the one hand and being incarnated in a particular micro-culture on the other hand... The two don't go well together--especially not in the South, where I'm supposed to say "Roll Tide" and wear khaki shorts and pastel polo shirts with Sperry's and watch SportsCenter reruns and ignore unjust systems, etc. 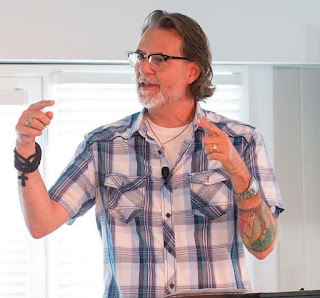 Have you experienced that tension between non-conformity and being pastorally incarnated, and if so, what are some examples of how you have negotiated it?